Men's traditional German knee socks in beige. 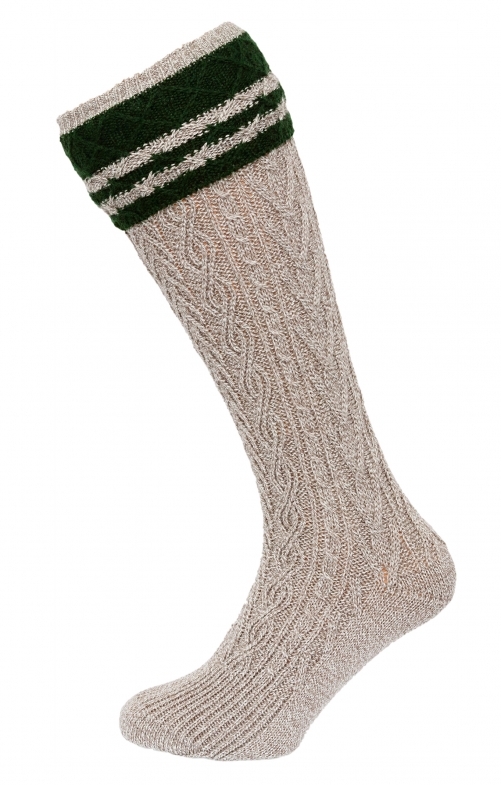 An essential part of a Trachten outfit for Oktoberfest, these stylish knee socks by Stockerpoint are knitted from a wool, viscose and acrylic blend for comfort and durability. The warm beige shade is contrasted with dark green bands at the top and the intricate cable pattern adds an authentic rustic touch.